Wedding Advice: Should the bride and groom pay for the bridal party's attire? 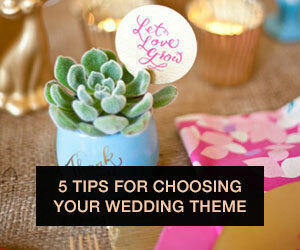 We're so excited to introduce our new column - Wedding Advice. So many of our readers are planning weddings and dealing with similar issues so we thought we'd help out a little. We've found two people that actually have enough street cred to give you guys wedding advice. "How so?" you ask. Well one of them is a wedding planner and the other is a bride-to-be planning her wedding. Yup, we basically hit the jackpot with these two. So keep reading to find out what these two have to say and feel free to tweet/facebook/email us if you have a question you'd like them to address. Question: Should the bride/groom pay for the bridal party's attire? KAELLA'S ANSWER: Being a bridesmaid or groomsman has associated costs and duties that should be considered before accepting the position. However, as the bride and groom it is important to consider the budget of your wedding party. If you are asking them to purchase attire out of their budget, then I suggest covering the difference. RACHEL'S ANSWER: I spent a bunch of time looking at bridesmaids dresses online the other night and I found myself thinking, Gosh, I’d love to buy these for them! I hate the idea that bridesmaids are there to serve the bride. Of course they probably want to do whatever they can to help, but I see their presence as a gift, so I hate the idea of making them buy a dress I choose, even if that’s the standard. That said, it is the standard, so if you aren’t in a financial position to pay for their dresses, it’s not a huge deal. (I probably won’t be able to!) Most people plan to pay for their own dresses, shoes, travel, etc. when they agree to be in the bridal party. But brides and grooms should be sensitive to the fact that weddings can be very expensive for those in the bridal party. If your friend says she can’t be a bridesmaid because she can’t afford it, that’s OK; it’s your job as your friend to believe her. (And to NOT tell her to get a second job, which I actually heard of a bride suggesting!) If you can afford it and are comfortable with it, you should absolutely offer to help if it’s going to keep your friend from being in your wedding, but if she’s uncomfortable accepting your offer, don’t push it.